From Monday 25 February Area B is active: the new Low Emission Zone which prohibits the entry to Euro 0, 1, 2, 3 diesel vehicles and Euro 0, 1 two-stroke motorcycles from Monday to Friday, from 7:30 to 19:30, excluding holidays. 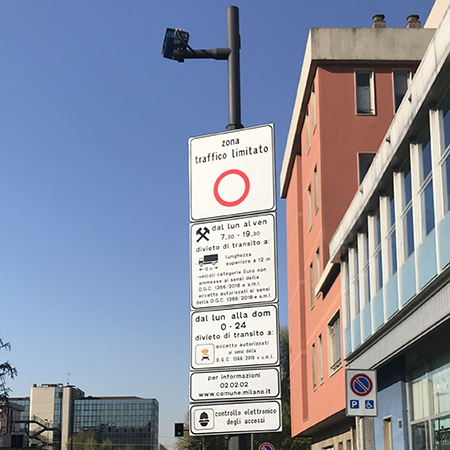 Milan changes air and lights up the largest enlarged congestion zone in Italy which outlines an area with low polluting emissions in 72% of the municipal area. There are 187 gates, all roads entering the city, equipped with cameras connected to a computerized surveillance system. Area B affects all those who enter the city every day, progressively prohibiting the most polluting vehicles to improve air quality in the city. Between 2019 and 2026 traffic emissions will be reduced by around 25 tonnes of PM10 and 900-1.500 tonnes of nitrogen oxides. 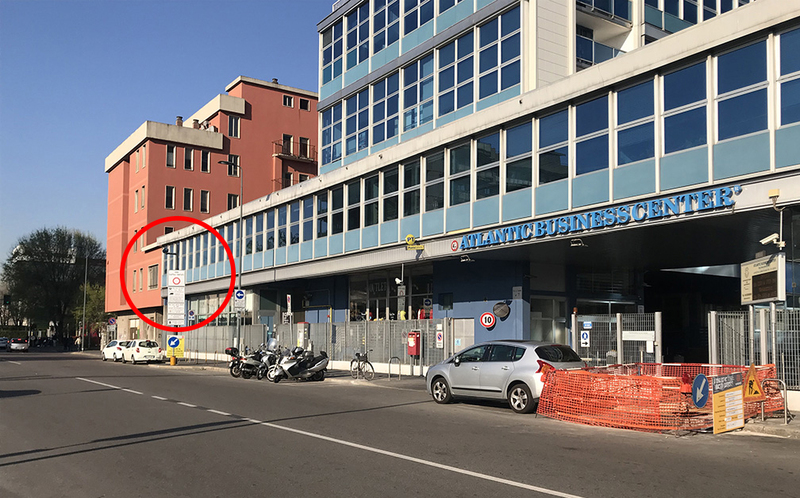 Atlantic Business Center is outside Area B: the camera monitoring the gate #16 on Via Fantoli near Via Mecenate is exactly 50 meters from our main entrance in Via Fantoli 7. Atlantic Business Center is therefore easily reachable from the C.A.M.M. exit of the East Milan Ring Road without entering Area B. A great advantage for companies that are based in our offices and warehouses, as well as for those who use our 130 parking spaces, which avoids unwanted limitations to employees, customers and suppliers. An advantage that is added to the many already offered by our strategic position: only 4km from the center of Milan and 6 Km from the Central Station, 300 m from the Ring Road and 2 Km from Linate Airport.